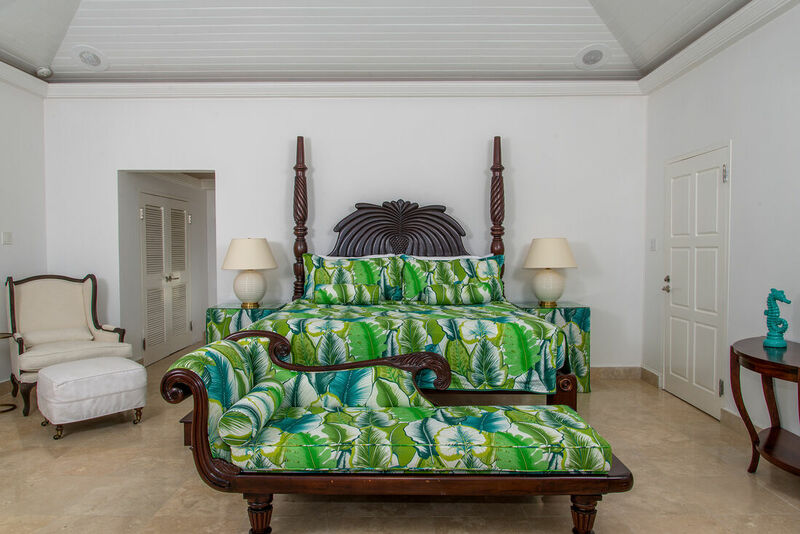 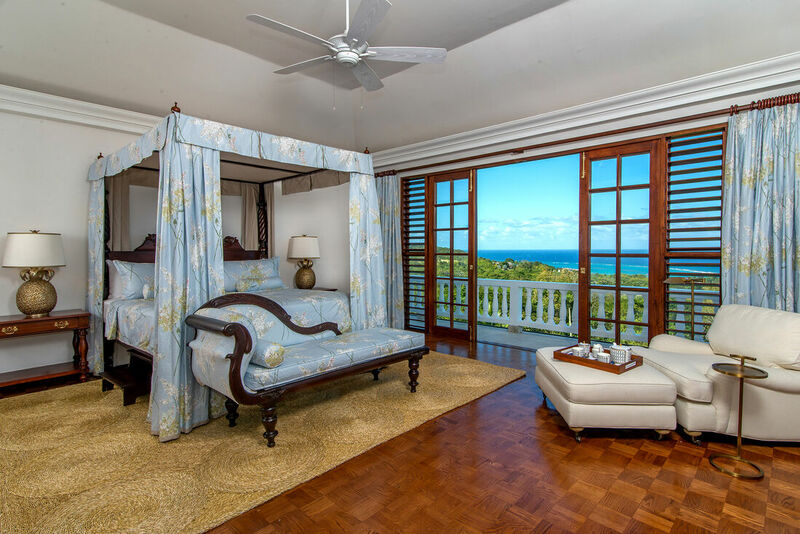 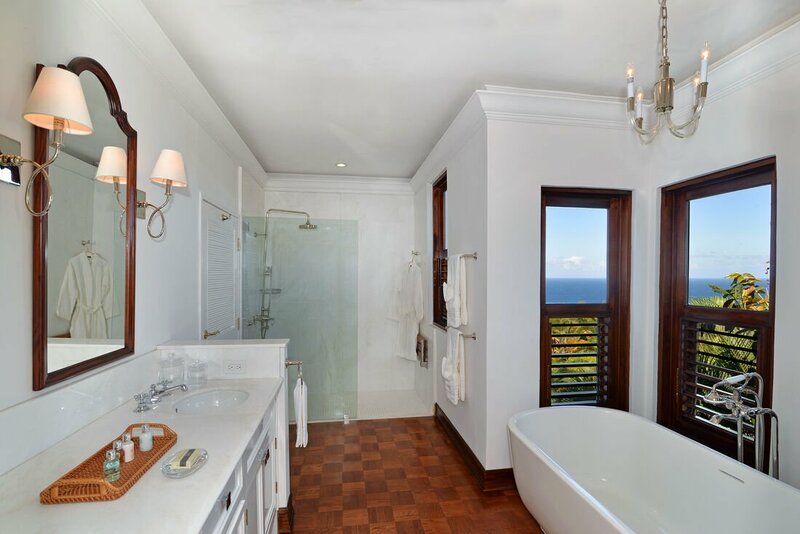 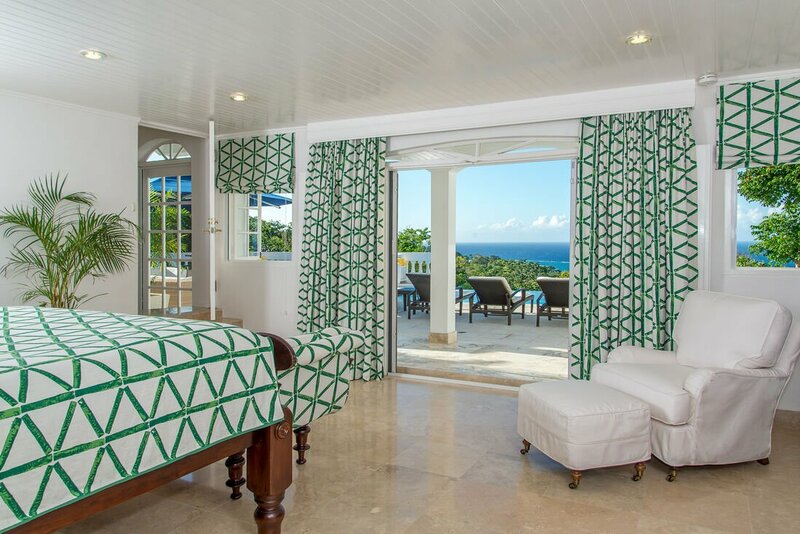 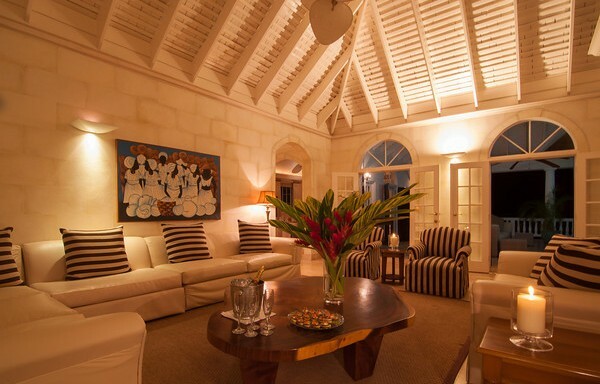 Nine luxury bedrooms in this spectacular luxury villa -Create Abundance villa is one of the newest and grandest premier villas located inside the Tryall club. 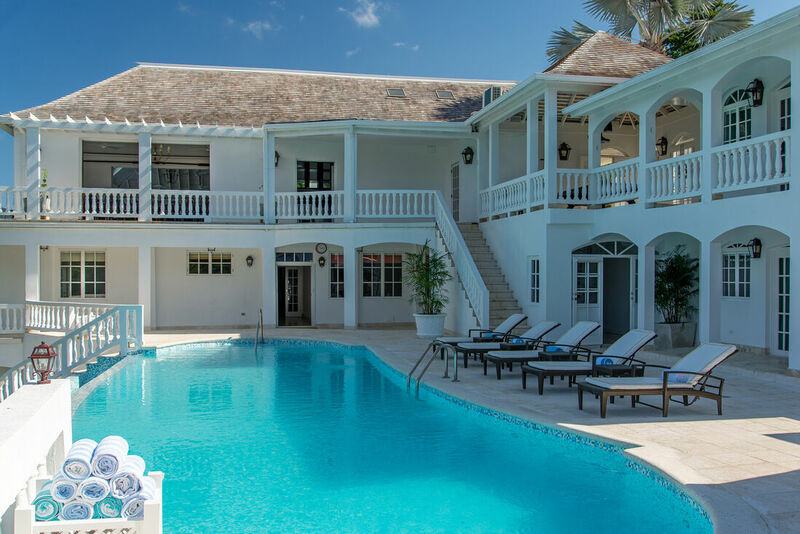 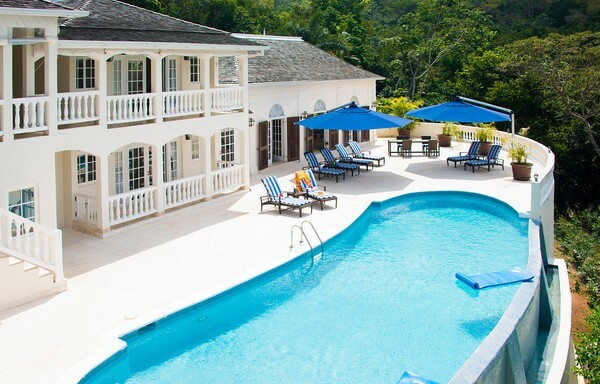 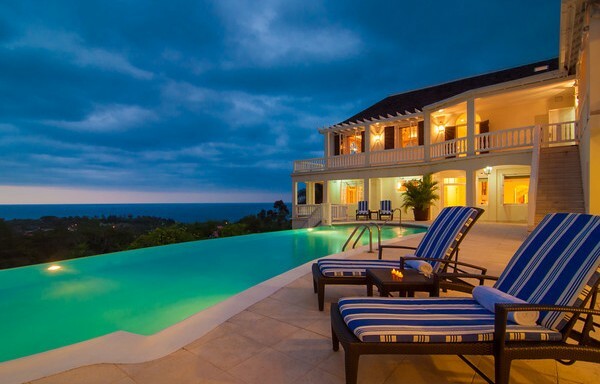 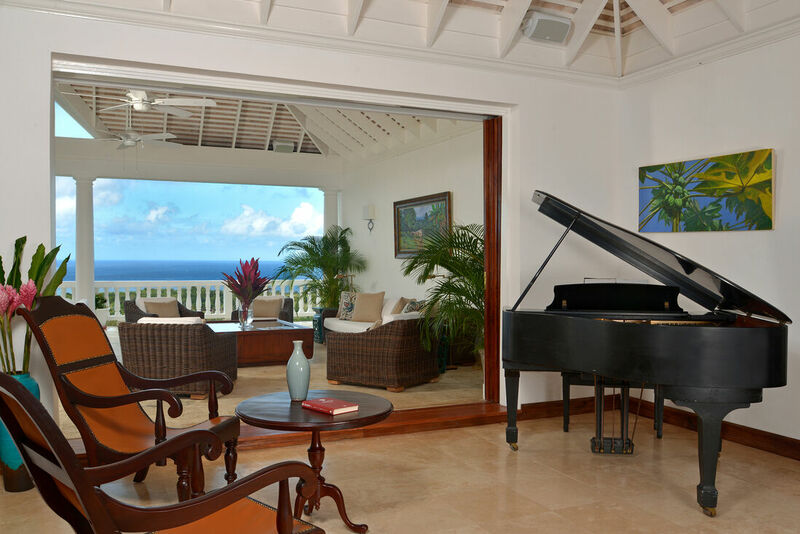 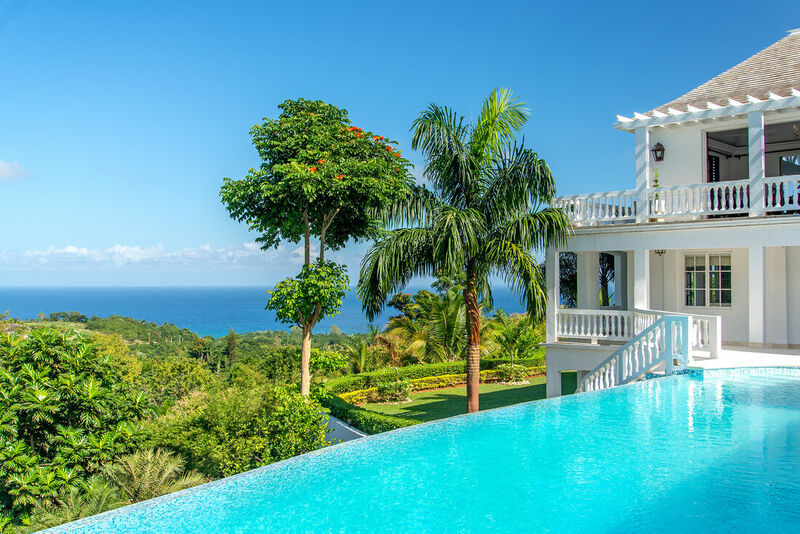 Tucked away on a hill overlooking the majestic Tryall Club and providing 360 degree panoramic views of Montego Bay and Hanover, Create Abundance is a haven waiting to be discovered. 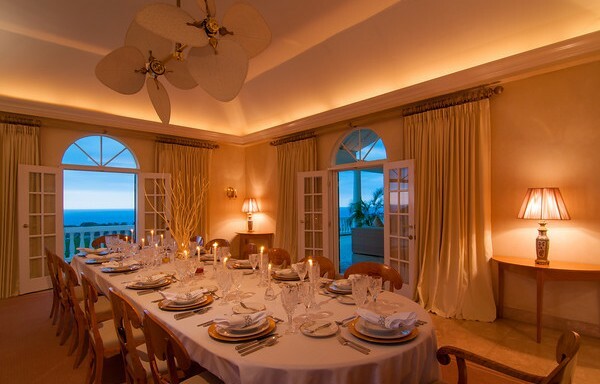 The largest villa on the property, it is perfect for large families or family groups. 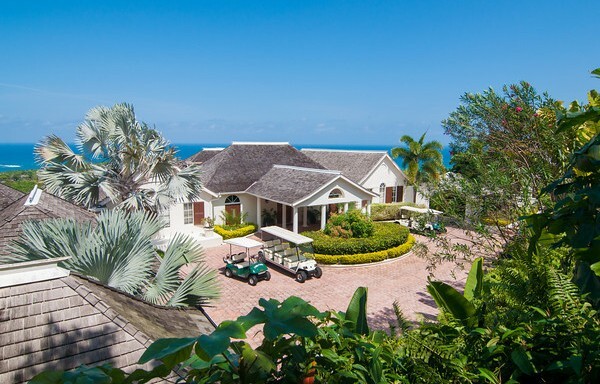 Lined with luscious palm trees and other tropical greenery, the winding driveway leading up to the villa provides the perfect feeling of a tropical escape. 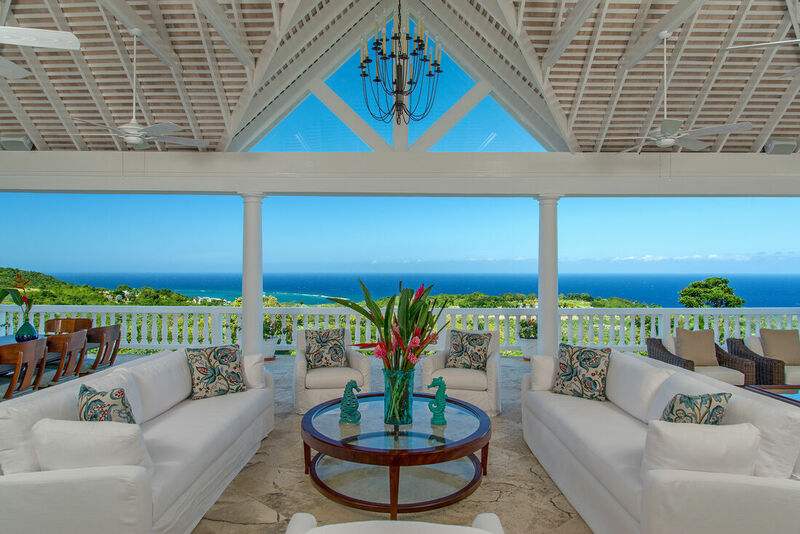 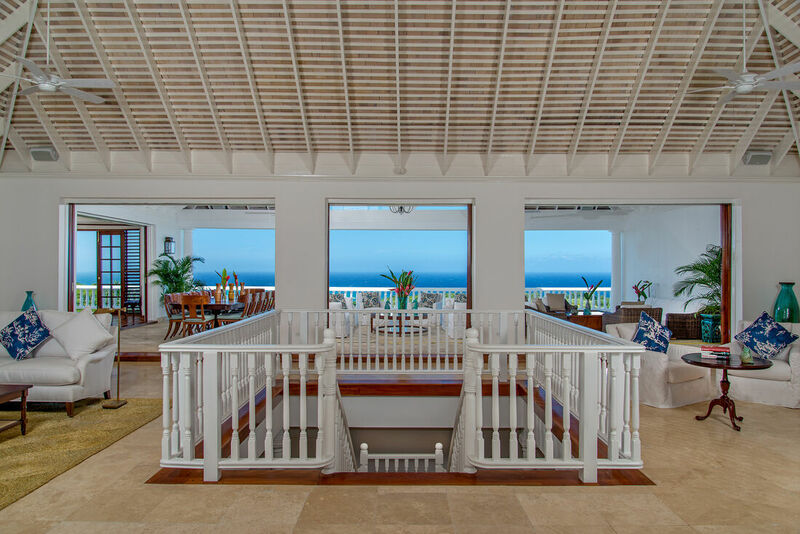 A portico leads to an elegantly understated foyer which provides an immediate view of the azure Caribbean Sea and horizon and ushers guests to an expansive, covered, wrap-around balcony with perhaps the most beautiful views Tryall has to offer. 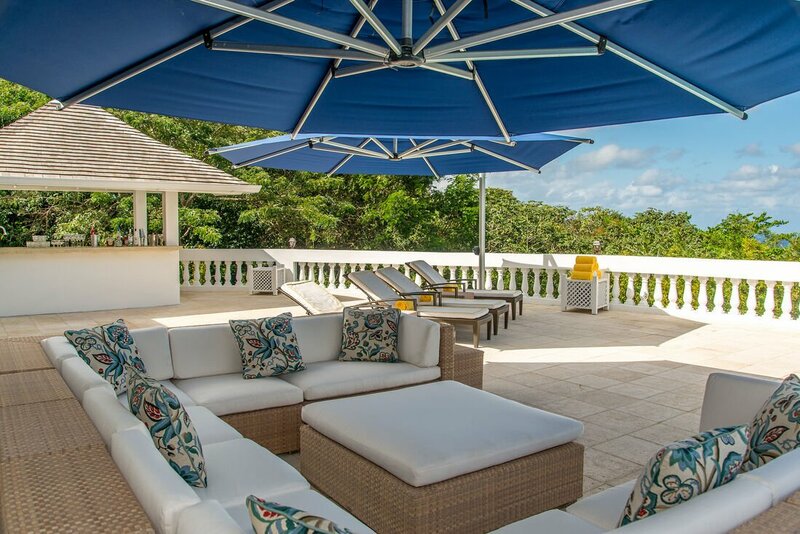 The balcony is a focal point perfectly suited for lounging, entertaining and dining. 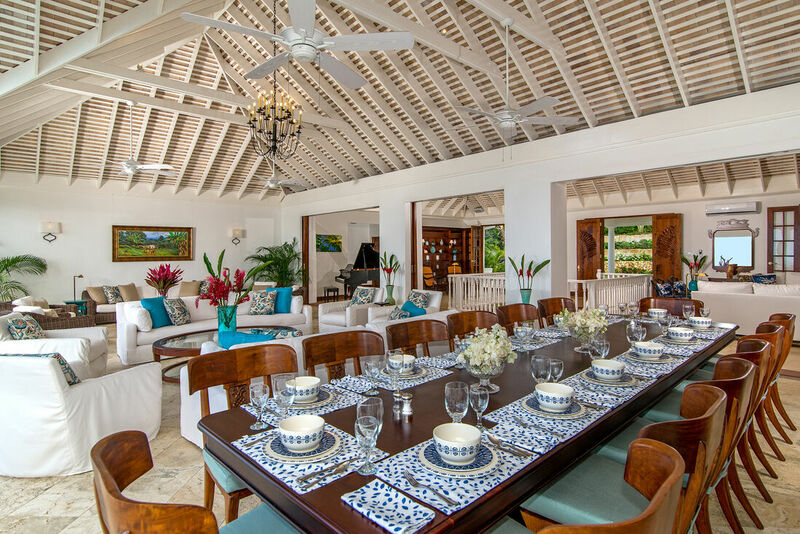 Modern and tasteful rattan furniture make repose irresistible and a lavish wooden table which seats 12, welcomes guests for outdoor dining and embodies the togetherness that makes the Caribbean unique. 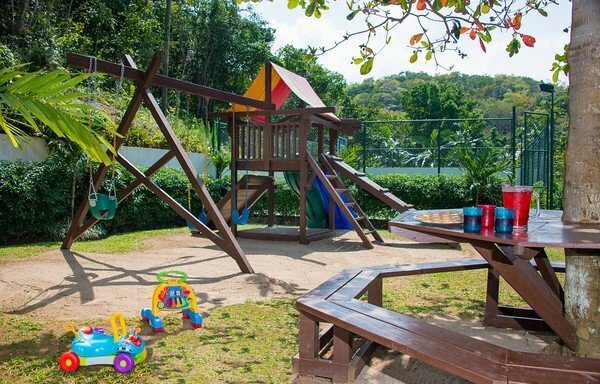 There is also a separate outdoor dining area for children. 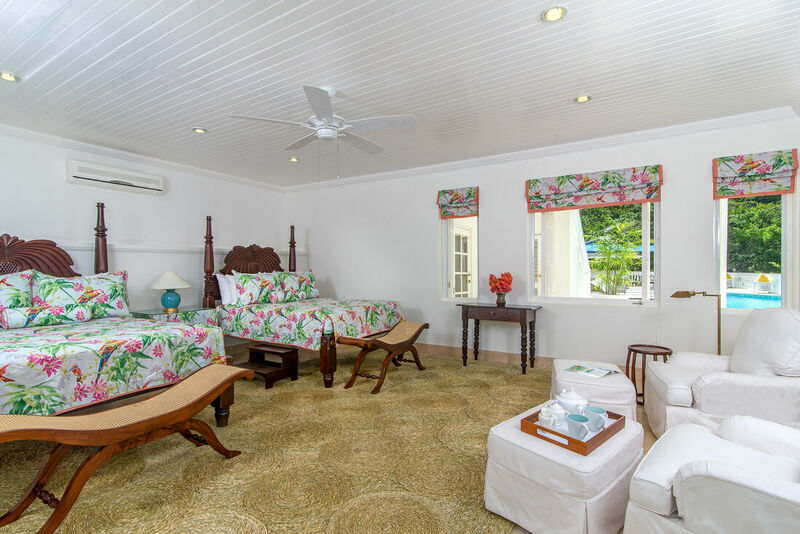 Inside, the upper floor has three bedrooms including a lovely master suite and a child’s room – complete with crib; while the other is more privately housed on the east wing of this gorgeous villa home. 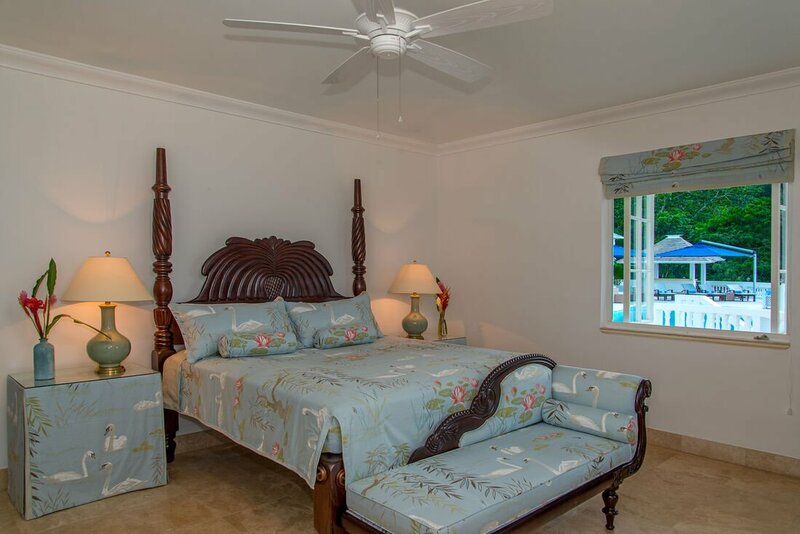 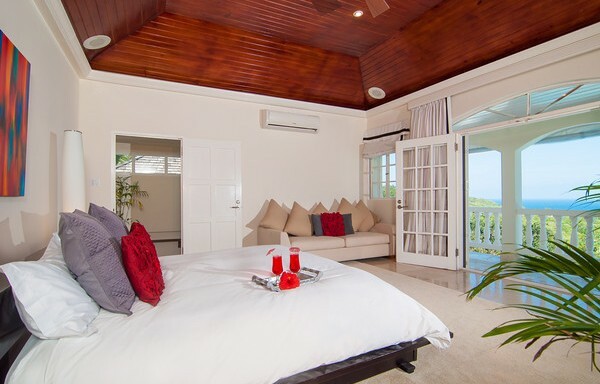 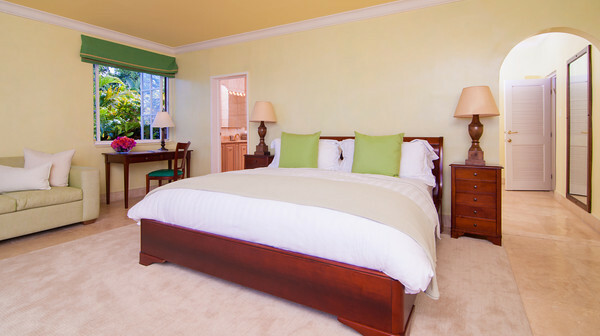 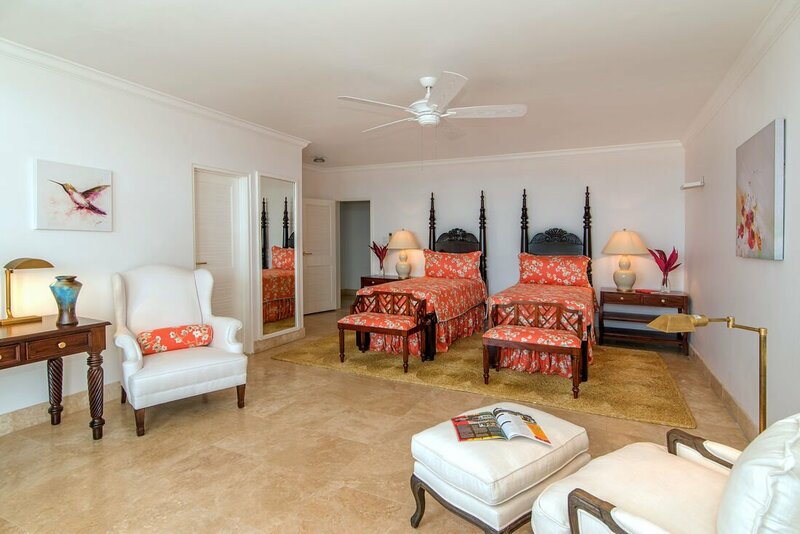 All bedrooms conjure the true spirit of the tropics with exotic ceiling fans and are also air-conditioned. 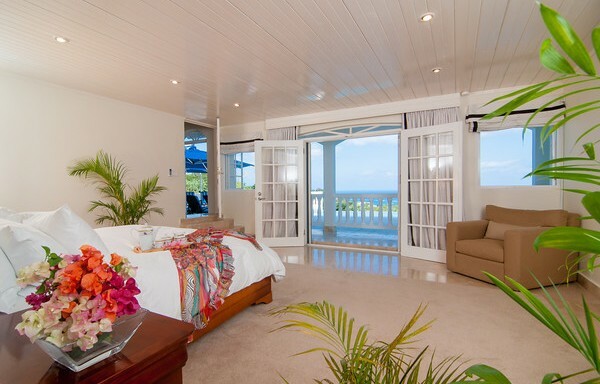 The bedrooms all open out to the balcony with its bewitching views. 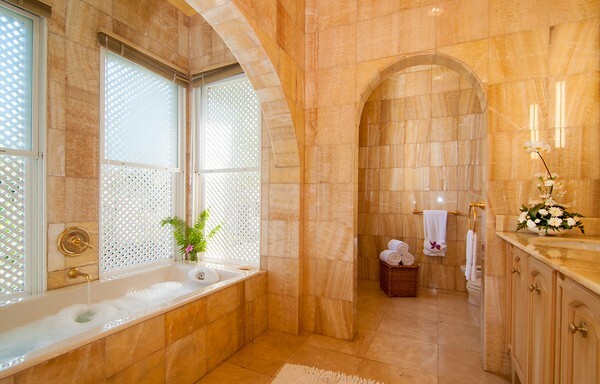 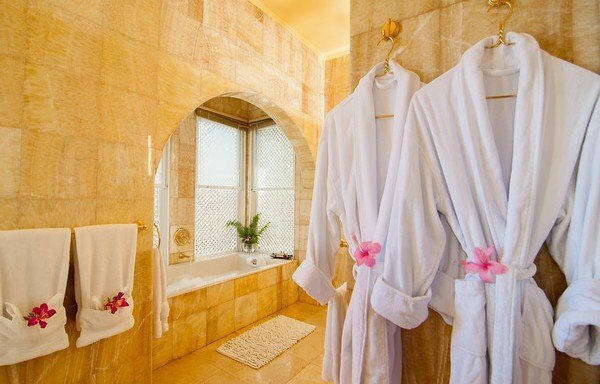 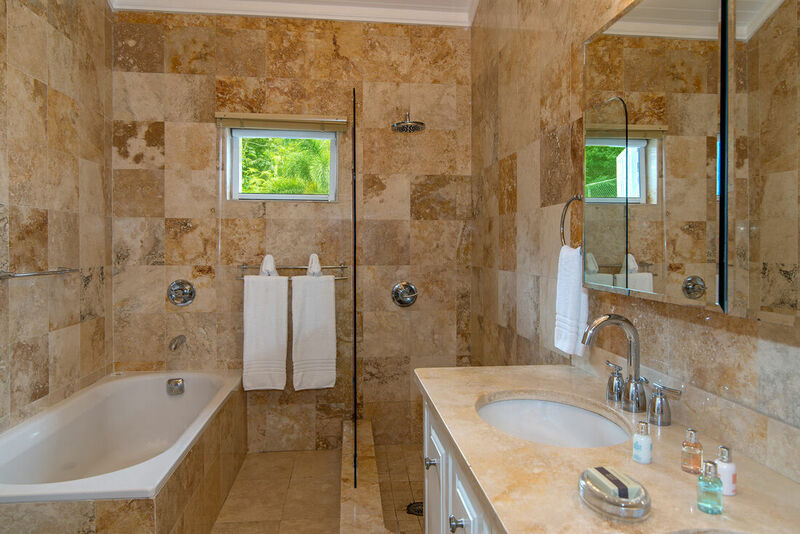 Each bedroom also has a luxurious en-suite floor-to-ceiling marble bathroom along with lavish and inviting tubs and showers. 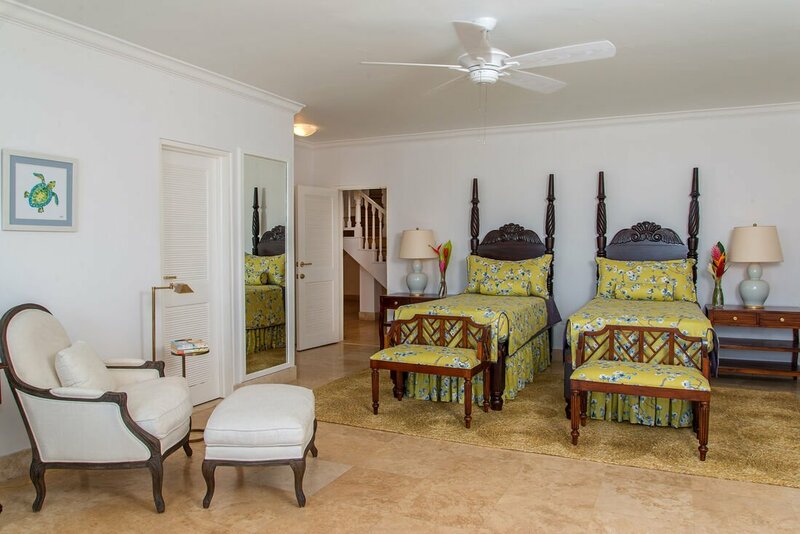 All seven bedrooms on the lower floor closely mirror those on the upper level and are all equipped with either king sized beds or twin beds that can be joined to become king-sized. 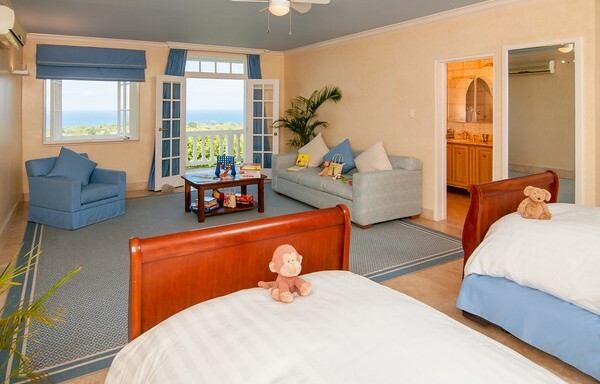 All spacious and beautifully appointed, a number of the rooms are ideal for children. 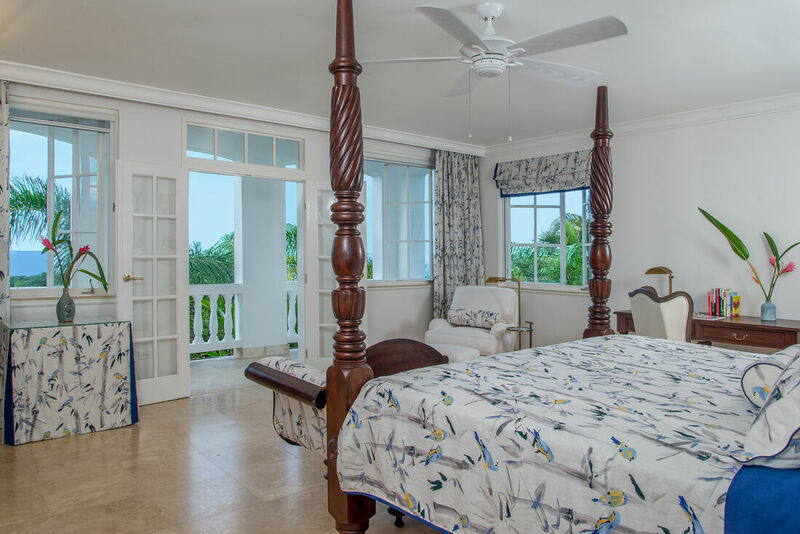 Lovely paintings which alternately evoke serenity and the spirit of the Caribbean can be found throughout the villa home and are truly reminiscent of island life. 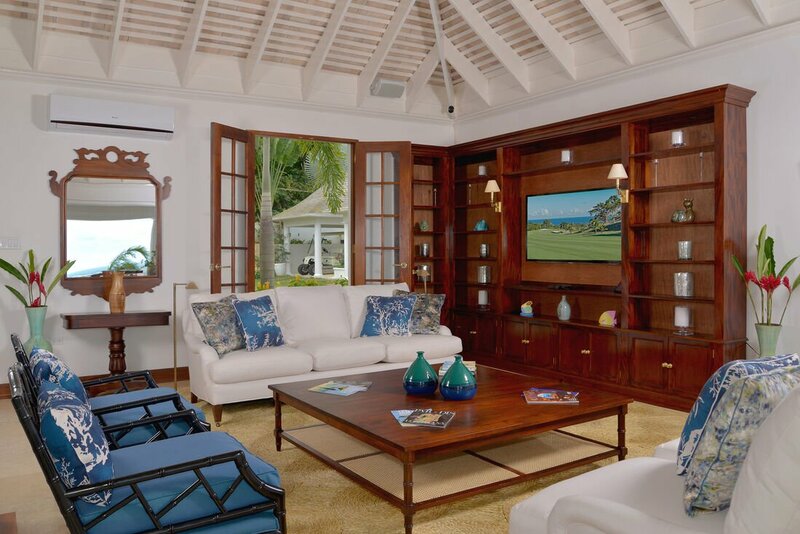 A sitting area with a 56” flat screen television, comfortable leather sofas and sleek Mahoe furniture, made here on the Island, is ideal for entertainment and relaxation. 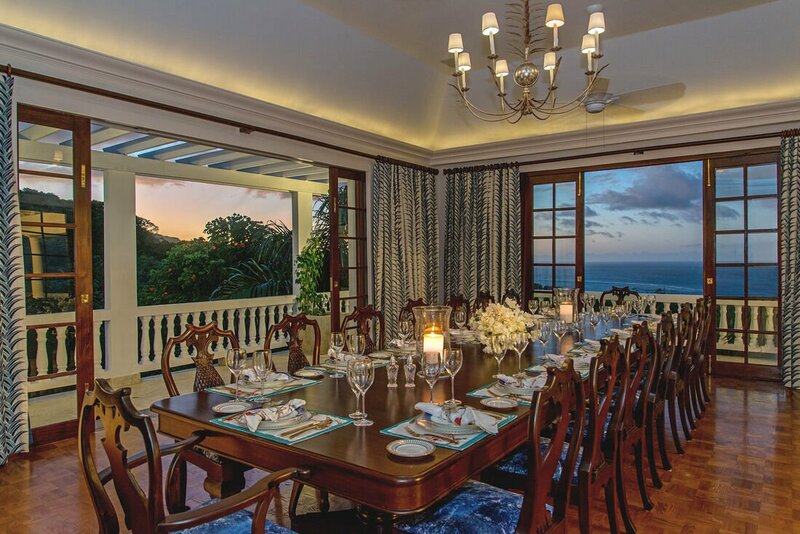 Then there is the stately dining room adorned with a large painting and pastel, floor-length curtains; perfect for formal dinners with seating for 16. 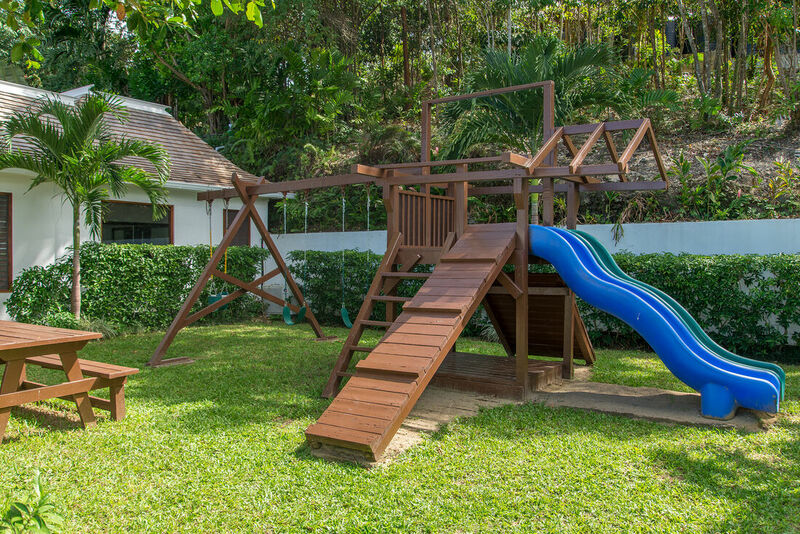 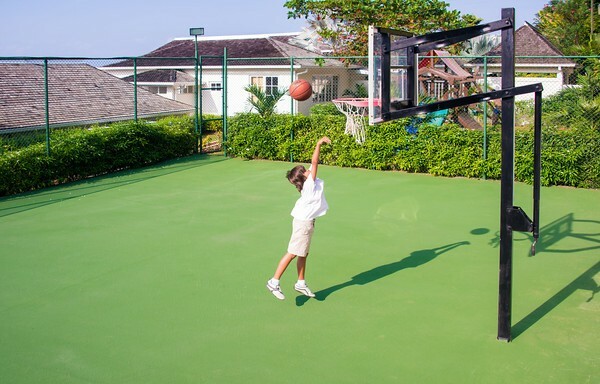 Catering especially to children, Create Abundance has its own basketball court and outdoor play area. 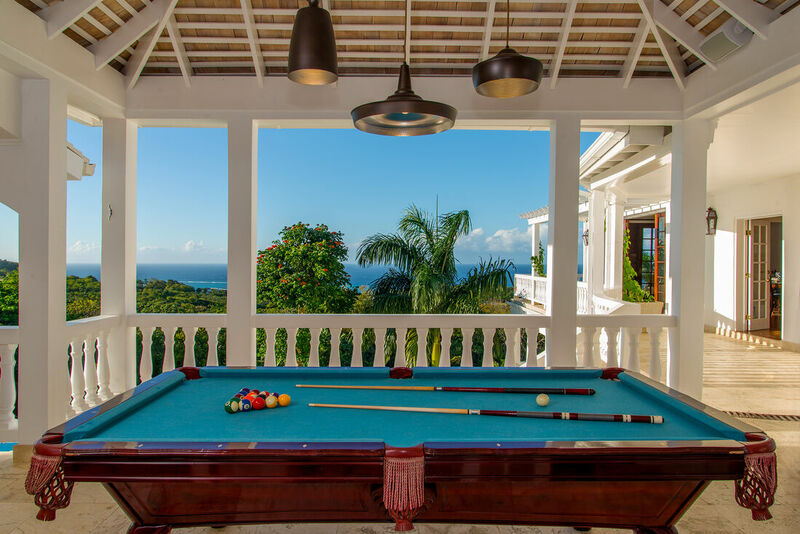 The lower floor also houses a spacious games room which offers pool and table tennis. 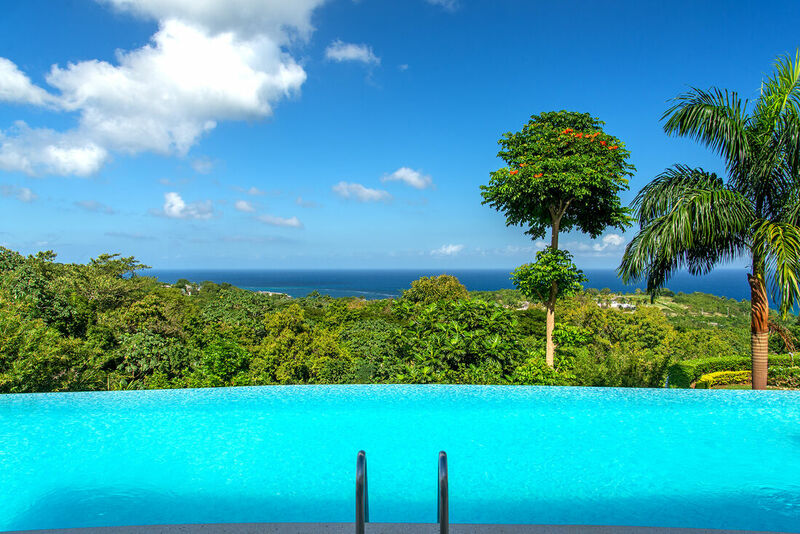 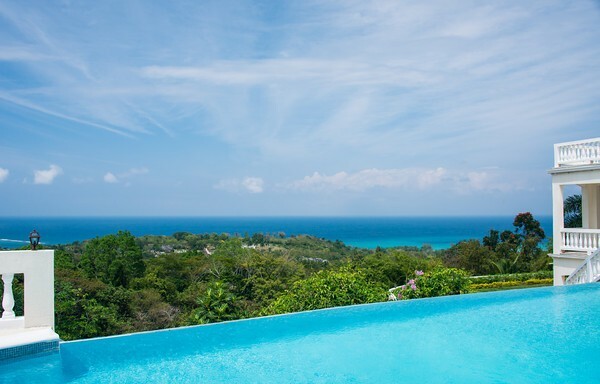 Just outside is a superb infinity pool which overlooks a well-manicured lawn and affords views of the lush hillside as well as picturesque ocean views. 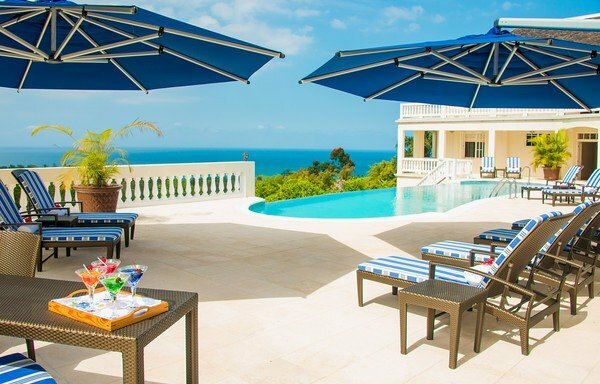 The pool deck also is outfitted with large umbrellas and rattan pool chairs which welcome sunbathing, recreation and relaxation.